The H-1B visa program enables U.S. businesses to sponsor foreign workers in specialty occupations to come to the United States for employment. 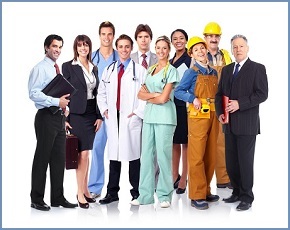 Specialty occupations are those that require technical or theoretical expertise in certain specialized fields such as engineering, science, computer programming and law. H-1B visas are nonimmigrant visas. Nonimmigrant visa holders can only stay in the United States temporarily for a set period of time. H-1Bs are given for a maximum period of six years in three year increments. In certain instances, individuals may extend beyond the six year maximum. H-1B visas are dual intent, which means that workers may temporarily enter the United States on an H-1B visa while applying for permanent residency through another visa category. For instance, EB-5 visa applicants sometimes first obtain U.S. residency through an H-1B before commencing the EB-5 application process. The United States government places a cap on the number of H-1B petitions that are approved each year. H-1B visas are issued on a first-come, first-served basis. Therefore, applications that are submitted to United States Citizenship and Immigration Services (USCIS) after the yearly cap has been met are not granted and applicants must apply for an alternative visa status or wait until the following year to apply. The current H-1B cap is set at 65,000 petitions. There is a separate 20,000 petition cap for those who possess a U.S. master’s degree or higher. Approximately 6,800 spots are also reserved for workers from Singapore and Chile pursuant to free trade agreements with those countries. For the 2014 fiscal year, the 65,000 regular cap was reached on April 5, 2013. For the 2014 fiscal year, the 20,000 H-1B cap for applicants with a U.S. master’s degree or higher was met on April 5, 2013. There are several requirements that applicants must meet to be eligible for the H-1B visa program. Applicants must demonstrate that they are qualified for the particular field that they will work in while in the United States. H-1B applicants are usually required to have at least a bachelor’s degree as well as all professional licensing required in their field. The spouse and unmarried children under the age of 21 of the H-1B visa holders are eligible for H-4 dependent status. Dependents are permitted to attend U.S. schools, but are not eligible for employment. H-1B visas are employer-sponsored visas, which means that the U.S.-based employer must prove that the applicant meets all H-1B requirements. These employers are required to prove that their new H-1B worker’s employment will not detract from the employment of U.S. workers. More specifically, the employers must attest that the H-1B employment will not displace any similarly placed U.S. workers, that the H-1B worker will not be placed at the worksite of another employer, and that U.S. workers were sought prior to the recruitment of the H-1B worker. If an H-1B worker wishes to transfer to another U.S. company, then the new employer must file for a new H-1B. However, H-1B portability enables the worker to begin their new position as soon as the new H-1B is filed as opposed to waiting for full USCIS adjudication. H-1B visa applications are employer-sponsored and filed by the employer on behalf of the employee. The filing is typically made with the help of an immigration attorney. Employers must file form ETA-9035 with the Department of Labor as part of the H-1B application. As part of this Labor Condition Application, the employer sponsoring the nonimmigrant work attests to the fact that they will pay the employee a wage that meets or exceeds the prevailing wage. In other words, the employer declares to the Department of Labor that they will pay the employee a wage that is at least as high as that of a similarly employed U.S. worker. Once the LCA is certified, employers file form I-129 which is the Petition for Nonimmigrant Worker. This petition is submitted to the USCIS Service Center with jurisdiction over the state where the H-1B visa holder will be working. Form I-797 is sent to the employer and notification is made to the American consulate where the individual will process for the visa once the petition has been approved. If the applicant has filed a change of status, they are eligible to remain in the United States in their current nonimmigrant status and then begin work on October 1st, or the date requested in their original filing as an H-1B applicant. If the applicant has requested to process at the consulate abroad, then the H-1B visa applicant files the DS-160 electronic visa application through the Department of State website. The base filing fee for an H-1B visa is $325 and the premium processing fee is $1,225. Premium processing is optional and provides adjudication of the H-1B petition within two weeks. The employer must also pay a $500 fraud fee and a $750 or $1500 American Competitiveness and Workforce Improvement Act (ACWIA) fee depending on the number of the employees in the sponsoring organization. Like many other employment-based nonimmigrant visa applications, the processing time for the H-1B visa application varies from case to case. However, H-1B processing times usually take between three and six months.